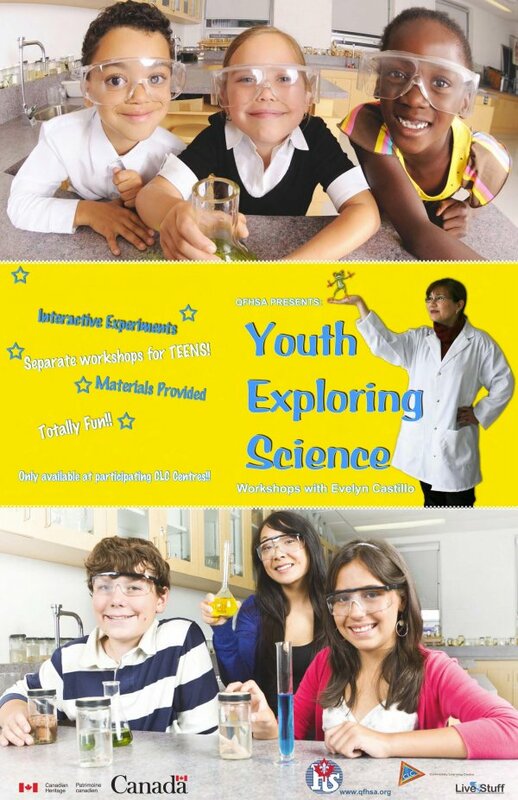 The Quebec Federation of Home and School Associations Inc. (QFHSA), in partnership with Heritage Canada, and Livestuff, Inc. offers an exciting opportunity for children to participate in an interactive science activity. YES consists of a series of workshops that aim at creating interest and developing scientific awareness while having hands on fun. YES is an extra-curricular activity that take place on Saturday afternoons at participating Community Learning Centers in Quebec. Classes are broadcast throughout the province via the CLC Educational Video Conferencing Network. All activities include hands-on components and take home items.